For the fire detection and emergency announcement systems, Elekon uses American UTC Edwards EST3 platform which is an expert in its field through its management features, integration opportunities, strong software and hardware. Our supervisors and engineers, assigned to test and commissioning works, completed Edwards training programs and were certified by Edwards. 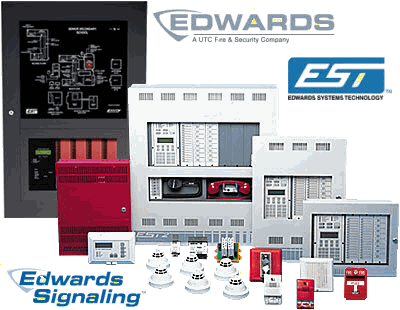 Edwards EST3 is uniquely designed to meet the life safety needs of any size facility. The function of each panel is customized by using an extensive selection of plug and play local rail modules. With support for 64 nodes of up to 2,500 devices each, this network’s multi-priority peer-to-peer token ring protocol delivers a fast alarm response time across any size network. Add to that the ability to network panels for an overall length in excess of 300,000 ft - that’s nearly 100 km - and you’ve got virtually unlimited networking options. All EST3 operating features are software controlled using object oriented rules, which when needed, gives the designer great flexibility in integrating fire, security, and MNEC functions into a single seamless design. EST3 multiplexed audio will deliver up to eight (8) audio messages simultaneously over a single pair of wires through its digital substructure. These messages can be automatically directed to appropriate areas in a facility under program control. Security messages can be easily integrated into the audio system. EST3 Firefighter telephone system is an emergency platform, providing 2-way communication to the fire alarm control panel in the facility in case of emergency. Calls income to EST3 fire alarm control panel and the operator can talk to the person on the line or provide the manual announcement by connecting this audio over announcement line to the selected zones of the facility. Since all firefighter telephones are supervised, they are monitored by the fire alarm control panel in case of any malfunction. 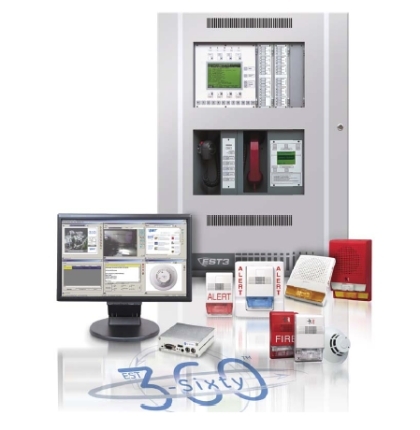 EST3 Life safety system allows for data exchange with the building automation systems on BacNET protocol. Moreover, it can communicate with UTC Lenel Onguard security platform or other security systems on OPC. EST3 is an excellent life safety platform, allowing the integration of fire alert, security, Mass Notification/Emergency Communications (MNEC) functions. The security and MNEC functions take all advantages of EST3’s survivability and reliability. The result is an integrated life safety solution, where the cost is reduced by sharing the system resources. A single system installation is more efficient than installing multi-linked systems. EST3’s information distribution technology ensures continuing to work correctly in the face of expected and unexpected events. EST3 cable network isolates the fault in the system in case of open or short circuit and prevents loss of network functionality or vital information. When multiple cable failures occur, the system divides the network into multiple subnets and continues to respond to alarm status from the panels in communication. The distribution technology guarantees that panels that the panels isolated from the network continue to run fully functional. Ease of use is the distinguishing feature of EST3 design. The main display shows the first and most recent system events to the operator at the time of alarm. This ensures that alarm messages never interfere with other low priority system events. Paging and phone operations are done with menu-driven buttons, rather than confusing sequences of buttons. 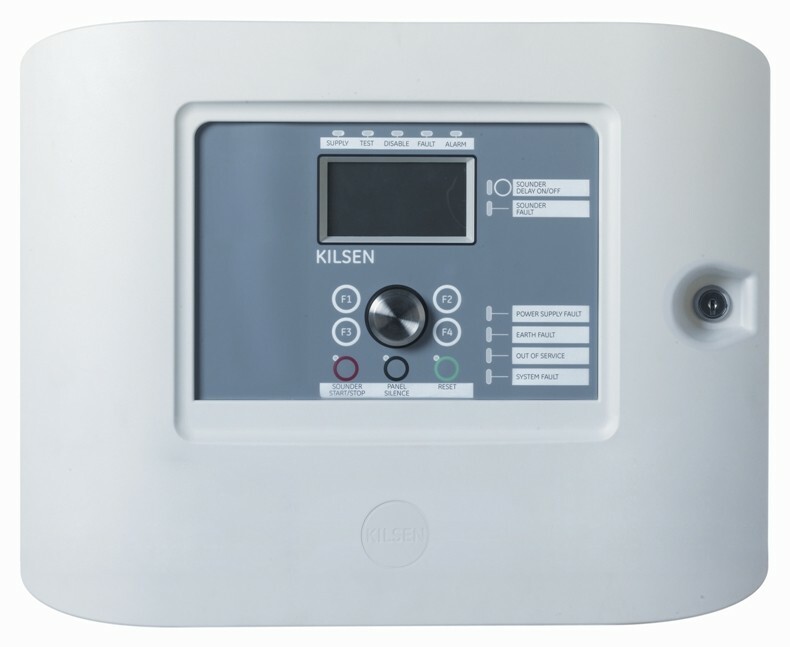 Intelligent Signature Series fire alarm and security devices are listed both for fire and security applications and also completely supported by EST3 panel. 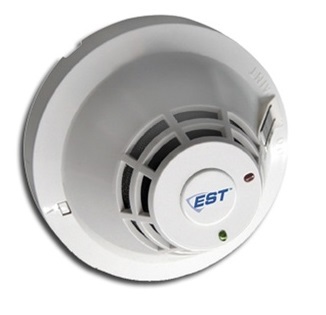 Signature multisensory smoke detectors offer unparalleled performance for a wide variety of fire situations. All Signature Series devices reduce the labor and materials costs by using the advantages of the existing wiring. The scheduled maintenances ensure system continuity and the error detection software of EST3 runs fast in error debugging. PC-based system reports also reveal the connection map scheme of signature devices. EST3, being the first system listed according to the new UL 2572 Standard for Mass Notification System by the Underwriters Laboratories, makes its own market. It makes this through the combination of unique crisis management, proven on site and state-of-the-art communication technologies.